Robert J. “Bob” Sakel, age 91, of Huntingburg and Holland, Indiana passed away at 9:32 a.m., on Tuesday, May 29, 2018, at Memorial Hospital and Health Care Center in Jasper. He was born March 28, 1927, in Huntingburg, Indiana to Arthur and Esther (Overbeck) Sakel; and married Billie J. Brunner on August 25, 1951, at Saint Lucas United Church of Christ in Evansville. Bob graduated from Jasper High School in 1945, where he enjoyed playing sports and was a member of the basketball and baseball teams. In March of 1945 he enlisted in the United States Navy at the age of 17; and served two years as a Medical Corpsman during World War II. Bob graduated from Evansville College, now the University of Evansville, in 1951; where he was a four year letter winner in both basketball and tennis. He was a member of Phi Zeta Fraternity, the Evansville College student council and was chairman of the athletic committee. Following his graduation he was drafted to play basketball by the Milwaukee Hawks of the NBA. He was a basketball coach in Petersburg and Rockport; and while coaching at Rockport his 1954 team won the sectional championship. Bob was a successful sales representative for Jostens, in Minneapolis, Minnesota where he retired after 30 years with the company. 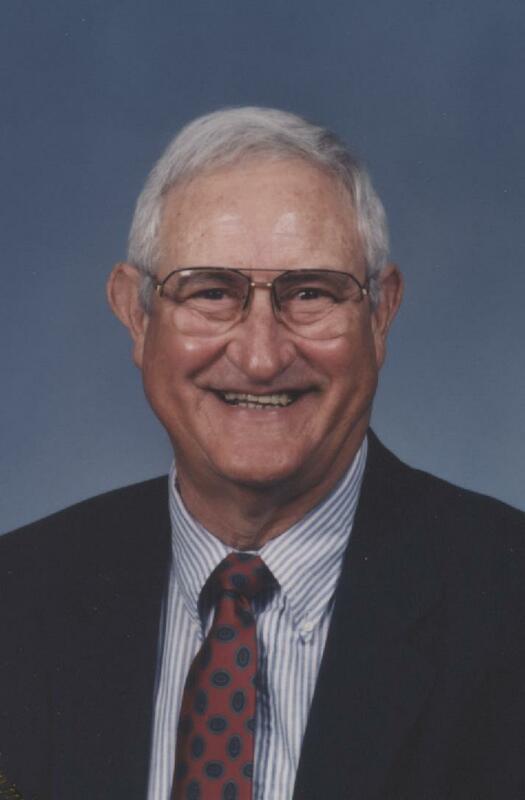 He was honored to be the recipient of Jasper High School’s Alumni of Distinction Award in 1997; was co-founder and President of the Dubois County Golf Association; was past president of the I.K. Baseball League; a member of the Evansville University Athletic Hall of Fame; and for many years served as a sports banquet speaker. He was twice a champion of the Jasper City Tennis Tournament and a golf champion at both the Huntingburg Golf Club and Christmas Lake Golf Club. He played semi-pro baseball for five years, the last three being played with the Jasper Reds. From 1959-1961 he was coach of the “South” basketball team in the South vs. North Basketball Series. In 2009, Bob was inducted into the Indiana Basketball Hall of Fame. Bob was a member of the Dubois County Masonic Lodge #520 F&AM, the Scottish Rite, the Hadi Shrine, and the Holland American Legion Post #343. He was a member of Salem United Church of Christ, where he served on the church council and for many years taught Sundayschool to the teenagers of Salem Church. Bob was preceded in death by his mother and father; and one sister, Marjorie Hecker. He is survived by his wife of 66 years, Billie J. Sakel; two sons and one daughter-in-law, Steven Sakel of Columbia, South Carolina, and Tully (Karen) Sakel of Huntingburg; two grandsons, Kirk (Jennifer) Sakel of West Olive, Michigan and Reid (Bianca) Sakel of Huntingburg; and five great grandchildren, Meredith, Conner, Olivia, Kate, and Maxwell Sakel. Funeral services for Robert “Bob” Sakel will be held at 10:00 a.m., E.D.T., on Monday, June 4, 2018, at the Nass & Son Funeral Home in Huntingburg with burial to follow at Fairmount Cemetery, Huntingburg. The Holland American Legion Memorial Detail will conduct military graveside rites. The Rev. Mark West, Rev. Mike Thompson and Rev. Gerald Frye will officiate at the service. Friends may call for visitation at the Nass & Son Funeral Home in Huntingburg from 3:00-7:00 p.m., on Sunday. A Masonic memorial service will be held at 6:30 p.m., Sunday evening, at the funeral home. Memorial contributions can be made to the University of Evansville Athletic Department or Salem United Church of Christ.